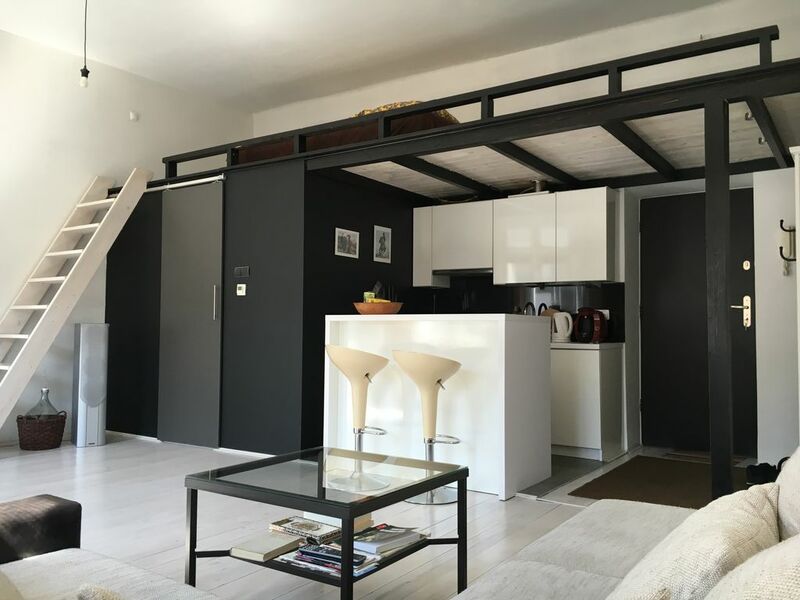 Apartment is located in one of the most charming places in Cracow - former Jewish Quarter very popular among fans of monuments and history as well as nightlife. Owing to the variety of restaurants, pubs, cafes, galleries. Apartment is on the third floor. Front view on Miodowa street. There is no elevator in the building. In the apartment there is one bed on the mezzanine and also sofa which is on the pictures. If you put one element to set up a square becomes comfortable bed for two persons. There is a bathroom with rainshower. - Polakowski polish cusine restaurant founded 1899. I can give tips about best restaurants, beer gardens and clubs but also can help with arranging tickets to the opera, teather, filharmony or other events. The place is perfect for couples who want to spend time in atmospheric place feeling magic of bohemian district and be walking distance from most important historic and cultural spots. Had an amazing stay in Krakow. The apartment was beautiful and had everything we needed. It was lovely and clean and in a great location. Wojtek was extremely helpful and could not do enough for us. Highly recommend and thank you for being so helpful. Lovely apartment in the best location! Brilliant apartment in a fab location! Loads of bars and lovely restaurants within a couple of hundred metres-much cheaper than the busy main square as well. Withing walking distance to most attractions. Apartment is clean and modern, and the host is amazing-very helpful with recommendations and arranging taxis to the airport. Don't hesitate-book now! Wojtek was awesome and the place was lovely - way beyond expectations. Great area with loads of cafes and bars. Would love to stay again! Hugely recommended. Great property, great location, highly recommended.